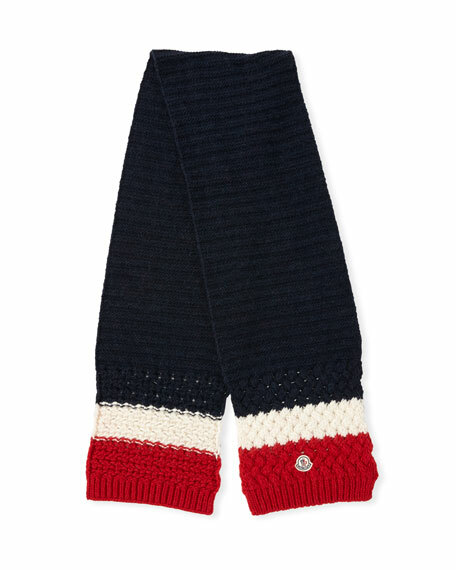 Moncler "Sciarpa" scarf in tricolor cable-knit. 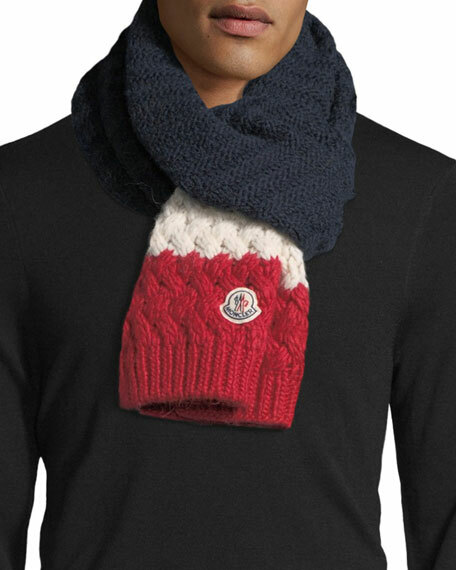 Ribbed cuffs; logo patch at end. For in-store inquiries, use sku #2350396.